Images, experiences, places, comments, people and thoughts. Autumn, May the first showers, the morning mists, cooling temperatures, winter approaching. 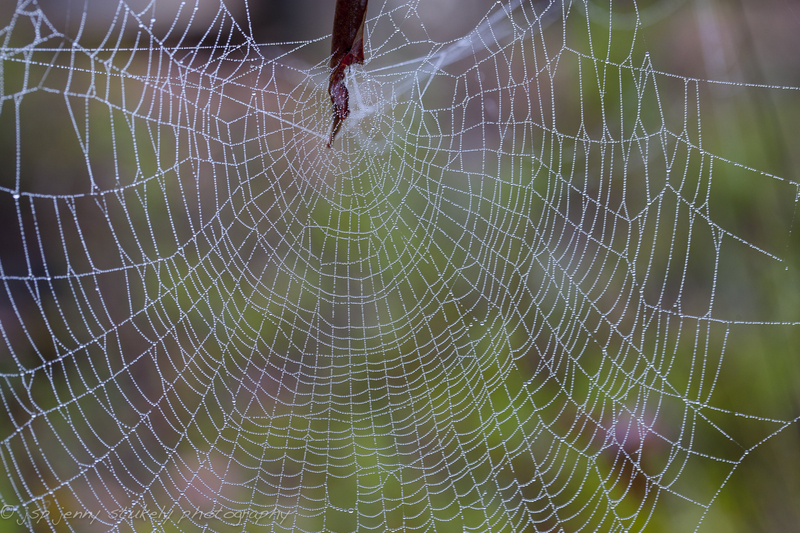 Day after day the spiders repair and rebuild their webs. When fog is thick in front of you, the air is still and heavy look at the wonder of the dew drops on their delicate webs. The bush becomes a fairy land of spider threads until the clouds lift, the sun shines again and once again they are invisible. This entry was posted in Australia, Nature, Travel by jspsnaps. Bookmark the permalink.